Is work-day snacking bringing you down? Do you sit at your desk and eat junk or maybe feel like you’re starving to death until it’s time to go home? LUNA wants to help you practice healthy workplace snacking with the “Feed Your Strength…At Work!” Facebook contest. Through June 30th, you can upload a picture of you and your coworkers and a little write-up about how you are making work a healthier, happier place, and you will be entered to win a vending machine for your workplace stocked with LUNA snacks, including the gluten-free protein bars. Two new-to-me flavors of the LUNA protein bars are Chocolate and Chocolate Cherry. The chocolate cherry is like a distant cousin to a cherry cordial – none of that crazy sweetness (or runny gooey stuff), but with both flavors melding and working together. Sometimes the cherry flavor is stronger and sometimes the chocolate, and it changes as you chew. This is a great bar to chew slowly and savor the differences in the flavors. The Chocolate LUNA Protein Bar almost belongs in the candy aisle. It’s sweet enough, chocolate enough, and full of nougat-y chewy goodness to satisfy a chocolate craving. I almost feel slightly guilty for eating it. 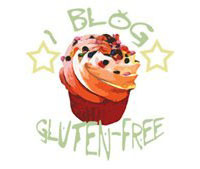 🙂 For our Delightfully Gluten Free readers, LUNA is sponsoring a giveaway here, too. 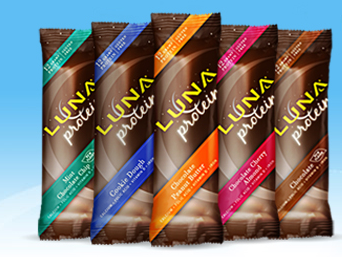 One lucky winner will receive their flavor choice of 3 boxes of LUNA protein bars. Yes, that’s 3 boxes of LUNA protein bars! To enter the DGF giveaway, simply leave a comment on this post about what you do at work to be healthy. For example, we teach physical education classes for undergraduates, and spend entire semesters exercising and talking about health, fitness, and nutrition. This giveaway on Delightfully Gluten Free is open to U.S. addresses and will close at 9:00 p.m. central on Friday, June 14, 2013. The LUNA facebook contest closes on June 30th. 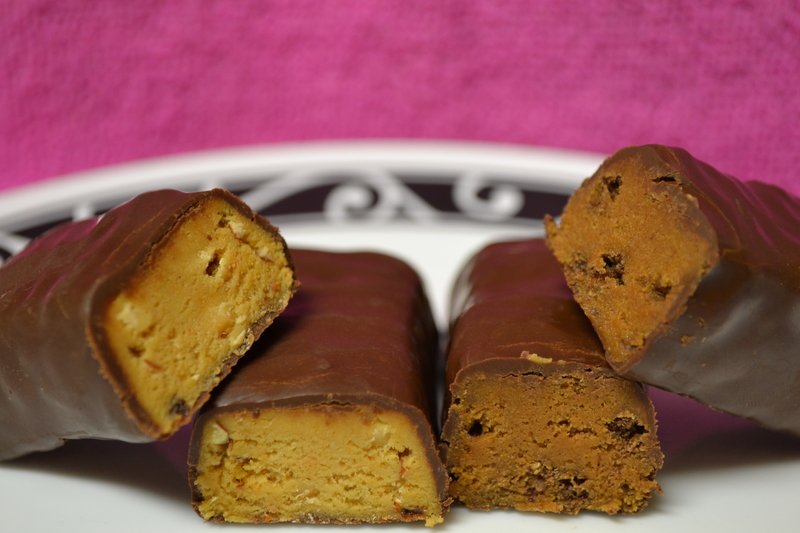 17 Responses to LUNA Protein Bars Giveaway! In order to be healthy at work, I try to pack my lunch every day instead of grabbing things out. I also try to keep healthy snacks in my desk drawer for when I can’t avoid snacking–right now I have a bag of almonds and a bar of dark chocolate that can be broken into smaller squares. Luna bars would be a great addition to my drawer! I try to pack healthy snacks! 🙂 Protein is vital for me right now because I am pregnant! I am a stay at home mom, so I try to keep all my snacks healthy and not have junk food around. I try to pack healthy snacks to avoid vending machine trips. At work (which is an elementary school), we have a weekly yoga class taught by a parent and another yoga class that is taught by a group of students (who wanted to take “action” regarding changing, “How we live in the world.”). We also have a track and we often meet up before the kids arrive and take a few laps. I make sure I get up and walk around as often as I am able and have a snack drawer with healthy items. I bring a water bottle and make sure to keep drinking water throughout the day. I also love to pack healthy snacks like almonds and fruit. I am a stay at home mom now. But, I take an hour walk everyday with my youngest (weather permitting), and play outside with him and my puppy. We also drink water all day and snack on cut up fruits and veggies. Congrats, Sarah! You’re our winner! I park a short distance from the office so I get some extra steps in the beginning and end of the day. If the weather is nice enough I walk on my lunch break as well. I juice each morning at work and I have a mini peddler under my desk to keep me moving throughout the day when I would otherwise have to be sedentary. at work, I lead a lunchtime walking group! i am a substitute teacher so I stay on my feet and eat healthy snacks and talk to kids about healthy habits.